I posted a new page detailing to what degree you need to keep the front element of your lens clean for optimal image detail, it's called the "Dirty lens article" for lack of a more creative title. 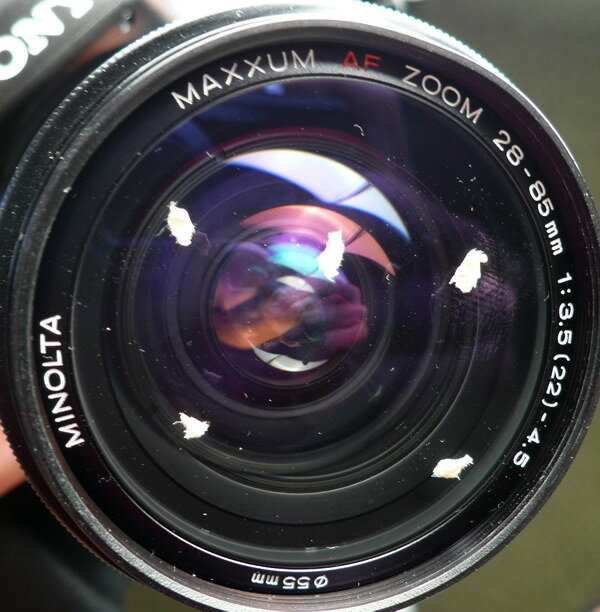 Pictures taken with the lens below may surprise you, (or horrify you), check it out. The coming soon page has been updated also. I'm planning on reviewing the expensive Minolta 17-35mm F/3.5 G lens next, and eventually compare it to the new Sony 16-35mm F/2.8, and KM 17-35mm F/2.8-4 with a separate review. 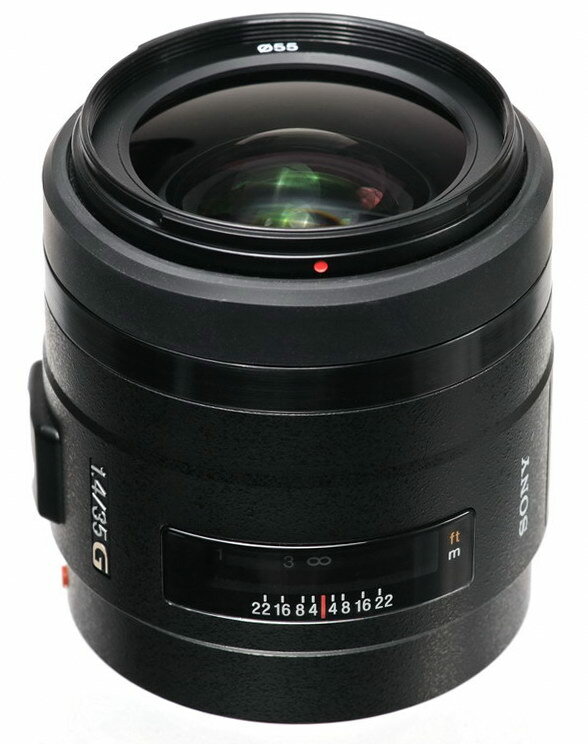 The Sony 35mm F/1.4 G lens has been posted! This is an expensive chunk of glass aimed at photojournalists and/or rank amateurs with loads of excess cash. If you're wondering how this lens compares to the Sony 50mm F/1.4, go to the bottom of the page for my opinion and recommendation. What if? I've contemplated that for some time, and decided to whip up a review since I have basically the same thing in my lens arsenal. Although telescopes and reflex lenses are designed differently, they both use mirrors to bounce light and pass it through the aperture. If you're wondering what this kind of "lens" would be capable of, check out the review here. This review will cover daylight terrestrial use only, so we won't worry about silly things like what the telescope was really designed for, such as viewing distant galaxies, planets and comets. The capabilities of a 2800mm F/10 telescope or "lens" as I use here are incredible, but daylight photographic use requires the right atmospheric conditions, like no heat shimmer, haze or wind, things which you're not so likely to encounter at night, high in the sky. You'll also be required to use manual mode (for shutter release) mirror lock up, and a corded remote. You'll also be required to part with close to three grand, but I've saved you the trouble right? I've made some comparisons to the Sony 500mm F/8 reflex lens, so if you want to waste 10 minutes, click the phony picture on the right. I'm finishing up on the Sony 35mm F/1.4 review, which should be ready before next weekend. Hello all. Sony has decided to move prices higher on most DSLR lenses and equipment. So if you were thinking of buying that lens with the money you don't have, now you'll need even more money you don't have. The price hikes on lenses average about 6%. Amazingly, they've raised the Sony 300mm F/2.8 G to $6299, indicating they really are selling. Other notable increases are the new CZ 16-35mm F/2.8, now $1899, $100 price increase. The tele-converters are now $479. The new 70-400mm G goes up $100 also, to $1599. The CZ 24-70mm F/2.8 is listed at $1599, $150 less than before, but this may be a mistake, I'll wait before I make any changes in the Price guide retail column. 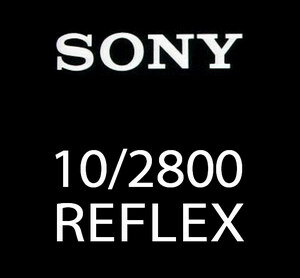 Good news on the Sony A900, the new retail price is $2699. B&H photo is still listing the old prices, so if you're ready to buy, go there before Sony makes them fix the price under the SURE, or Sony unified resale execution plan. 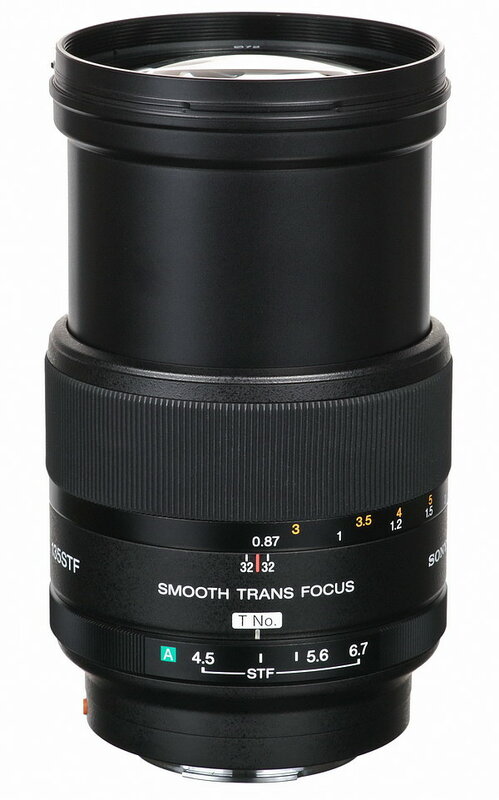 The long awaited review of the Sony 135mm F/2.8 [T4.5] STF is ready. I got carried away with this one, and the result is the longest review to date. Since the lens is totally different from a standard telephoto fast zoom, I wasn't really sure as to the appropriate use, and how to bring the best out of it. I'm not sure I've covered everything, but I know a lot more about it now than before the review. Speaking of differences, the Sony 135mm STF is a manually focus only lens, and one of the few that will accept Sony TCs. It's also not really an F/2.8, as it can't collect enough light because of the design. I give a few details on these topics and more in the review. It took me a lot of time to do this review, and I hope you appreciate it. If you have experience with this lens and would like to add some comments, please feel free to email me. Some of you may have noticed the new advertising banners scattered throughout the site. It's not something I wanted at this point, but times are tough, and the saying "ya gotta do whacha gotta do" applies now. Hopefully, the ads are useful, and if so, check 'em out. I don't necessarily endorse any businesses that pop up. Say, did anyone visit the Sonystyle.com website (DSLR camera page) over the weekend? Sony enters time warp, and winds up in 2006!! I kid you not---they were showcasing the Sony A100 on the DSLR home page over the weekend. I initially thought it was a new entry level model. The had a beautiful studio shot posted of the A100, like they now have of the A900. The link from the pic went directly to the now defunct A100, which read "no longer available." Good job Sony, who's in charge of the site? Obviously a high school kid with too many uncapped magic markers laying around. Some people get miffed at me for making fun of Sony, but they make it so easy! !